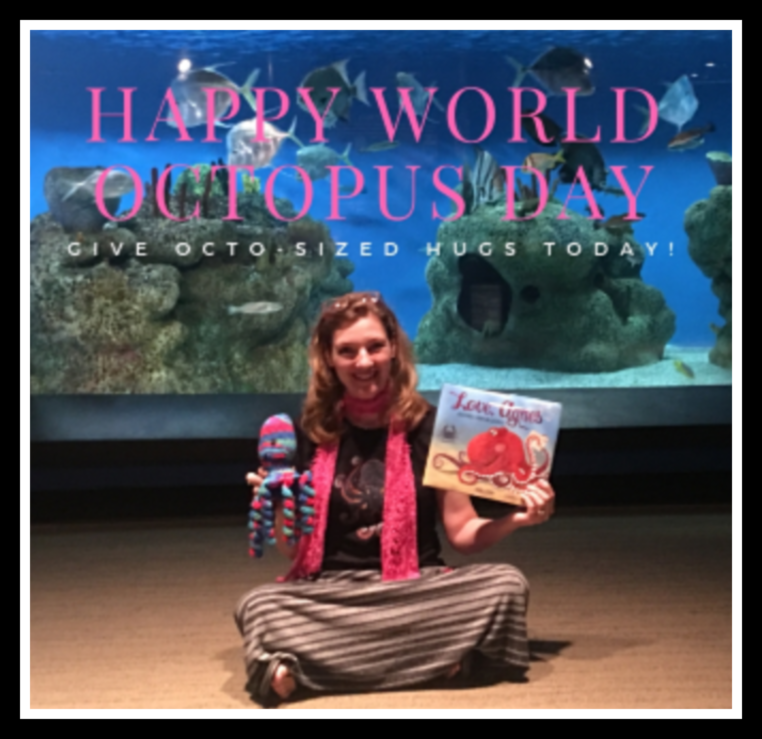 Isn't it fitting that October 8 should be World Octopus Day? Agnes and I kind of love it. 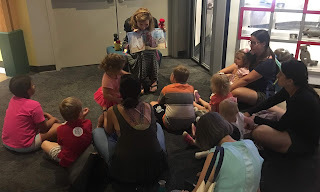 So today offer you a hodgepodge of octo-fun! First, today at the Lerner blog, you can find Agnes exchanging postcards with other members of the LOVE, AGNES team: moi (! ), editor Carol Hinz and illustrator Thea Baker. In other octopus news, we had our first event of the Great Southeastern Octopus Tour at McWane Center in Birmingham. My husband came along to take pictures. 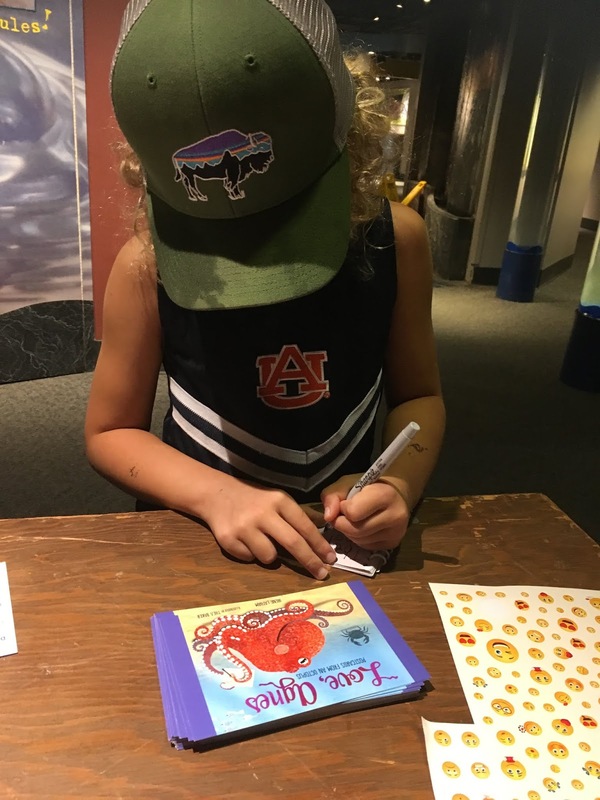 young writer writing about sharks! "Hey Crabby Crab... we all have our eyes on you!" 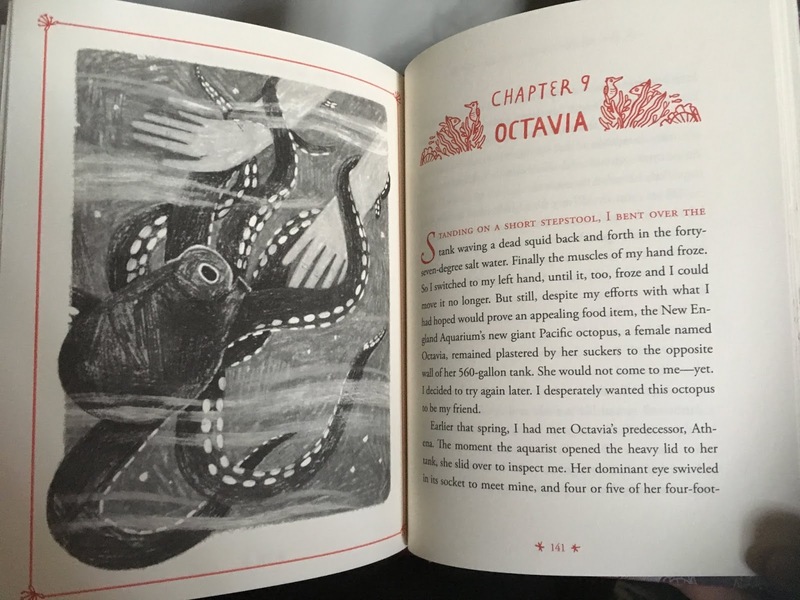 Finally, for a fun poem and some adorable octopus art, be sure to visit a penny and her jots to read "Octopus Olive at the Monster Hop" by Buffy Silverman! More poems and art coming this week. Thanks so much for joining the celebration! 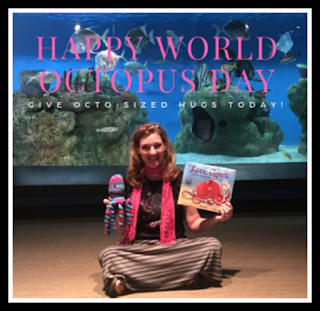 Of course October 8th should be World Octopus Day! When else could it be? 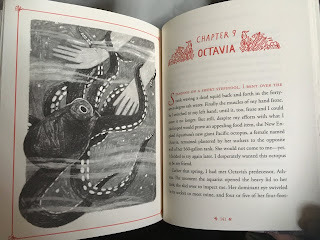 I just bought How To Be a Good Creature on Saturday and thought of you when I saw the chapter about Octavia. Can't wait to get started reading this. Happy World Octopus Day to you and Agnes! Love all the photos -- thanks for sharing the good times with us.